An American artist from the heart of the midwest. 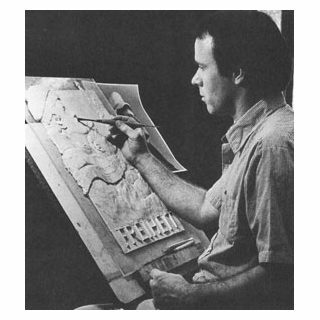 Don attended the Sculpture School of Fine Arts Washington University St. Louis, Missouri from 1966-1970. He then continued his studies at Washington University in St. Louis, Missouri with a Fine Arts Fellowship and Graduate Study from 1970-1971. In 1967 he was awarded a scholarship for Special Study Program Chautauqua Institute, Chautauqua, New York. Don has taught at various institutions all in St. Louis, Missouri including the School of Fine Arts at Washington University from 1968-1979, Maryville College from 1984-1985, Maryville University 1995-2004, and Fontbonne College in 2003.